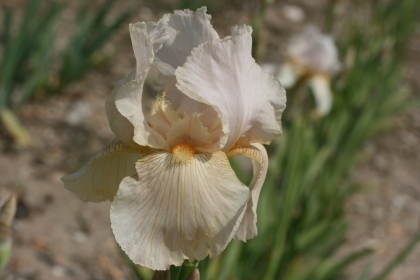 Woottens of Wenhaston Bearded Iris are open the last week in May until mid June. 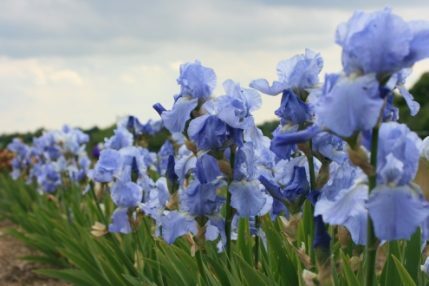 Artists and photographers* are welcome to come and paint or photograph* the Irises. The opening times each year are weather dependent, for example a cold spring will mean the plants bloom later and a warm spring will encourage earlier flowering. Sadly severe rainfall and high winds can easily decimate our exposed fields but on majority of occasions we will still open the fields for those who have traveled to see them. During these dates the fields are open from 10am-4pm everyday including weekends. Last entry is at 3.30pm. Wear sensible clothing & footwear. The area is an uneven working field and precautions must be taken at all times to mind your step. Not all plants in the fields are for sale. 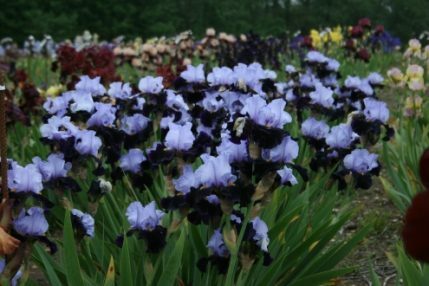 When visiting if you are thinking of ordering Irises ALWAYS collect an Iris availability list from a staff member or from the information point. 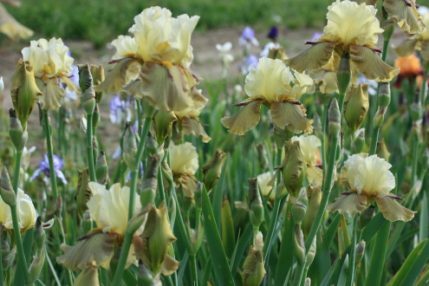 Many customers also pre order Irises before the fields open and also during the opening days so the Irises you view may already be reserved for another customer. Iris positions Although the fields are labelled with the Irises names and positions it is very difficult for us to remember the positions of over 1000 different plants so please have patience when you ask ‘where is Jane Philips planted’ as we may not know that position instantly! Travelling from afar? It is wise to ring the nursery before travelling some distance to view the fields especially if we’ve suffered recent bad weather as there may be little to see. 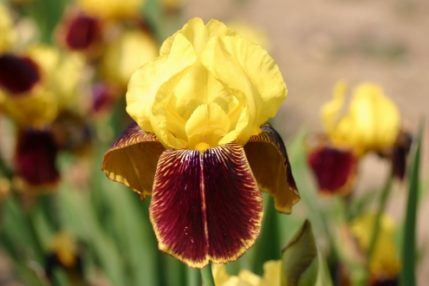 Also do bear in mind that Bearded Irises are not native to the UK and they flower when they choose. 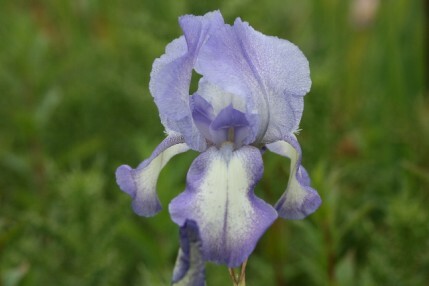 So please don’t be disappointed if the Iris you have come to view has gone over, there are hundreds more to appreciate.